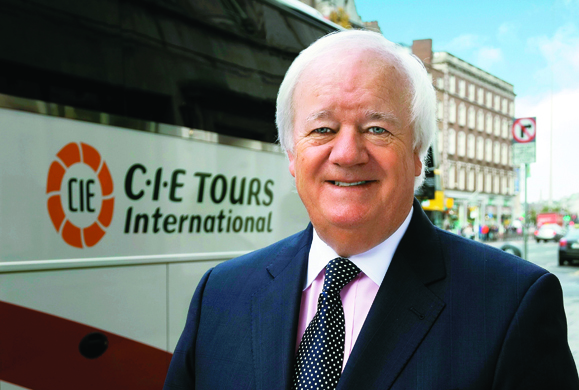 Brian W. Stack is president of the Ireland-U.S. Council and president emeritus of CIE Tours International, one of the largest producers of tourists to Ireland, Scotland, and many other areas of Europe. This year is the 85th anniversary of the company. He was inducted into the Irish America Hall of Fame in 2014. Prior to joining CIE, Brian worked with Aer Lingus, the Irish Tourist Board, and Ocean Reef Club in Florida. Brian has served as chairman of the United States Tour Operators Association, was president of the Society of Incentive Travel Executives, and is currently vice chairman of the Irish American Cultural Institute. His awards also include “Man of the Year” from the Incentive Travel Industry and “International Executive of the Year” by the World Congress on Marketing and Incentive Travel, in addition to previously being honored in the Top 100 Irish Americans by Irish America. A resident of Rye, New York, Brian is married to Anne-Marie and has two grown children with five grandchildren. He is a Dublin native.